In the East Midlands, our UKDN Waterflow (LG) Derby depot (formerly in Nottingham) is ready to respond to drainage emergencies for commercial and domestic clients, 24/7. For blocked pipes, sewers, drains, sinks or toilets, simply call 01158 246 436 and we will send the nearest engineer out to you, pronto. From Derby, our expert unblock team covers parts of Northamptonshire, Lincolnshire, Leicestershire, Nottinghamshire, and Derbyshire. We always react quickly because we use GPS tracking so that the nearest available unblock engineer is with you without delay. As well as handling your emergency drainage needs, quickly and professionally, we will handle all your associated drainage needs too — CCTV surveys, jetting, repairs, excavation, no-dig technology, patch liners, and waste management from bunds, interceptors, septic tanks, etc. Ask us for more about our full range of drain services — including clean water pipe repairs. 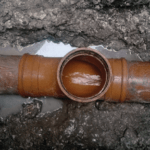 Many clients find that a Planned Maintenance Programme of regular service visits ensures that drains are kept flowing freely — especially important as extreme weather in recent years has resulted in increased levels of flooding. When it comes to drains, be prepared with UKDN Waterflow (LG). For a rapid response to any drainage emergency, or for more information about any of our drainage services call UKDN Waterflow (LG) in Derby on 01158 246 436.